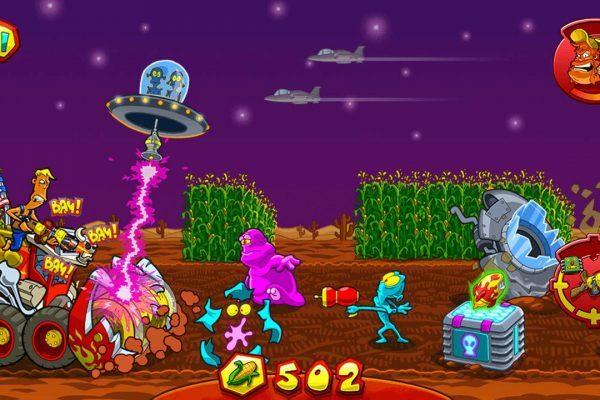 Join in on what’s maybe the craziest alien hunt in the galaxy! 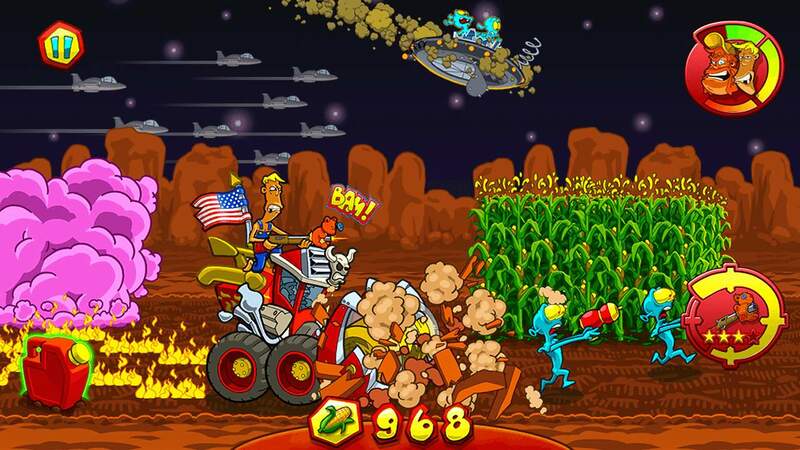 Make Redneck Pops proud and welcome the visitors from outer space… the Texan way! 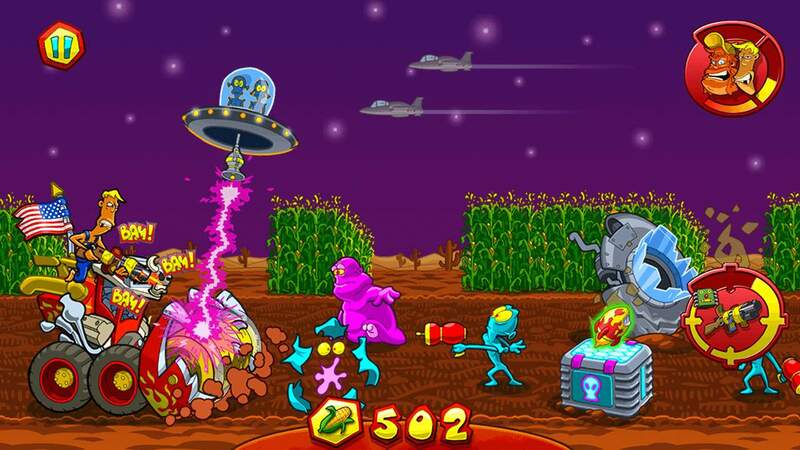 UFO sightings at old Pops’ farm! 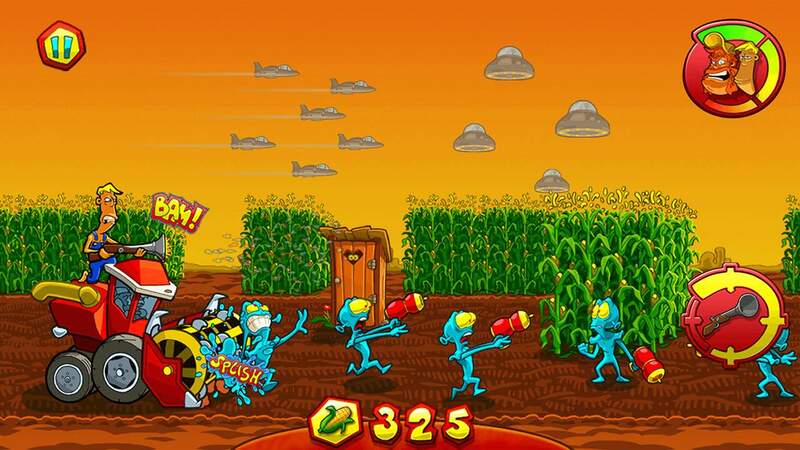 Use a huge arsenal of insane weapons to keep the aliens from stealing the corn harvest. 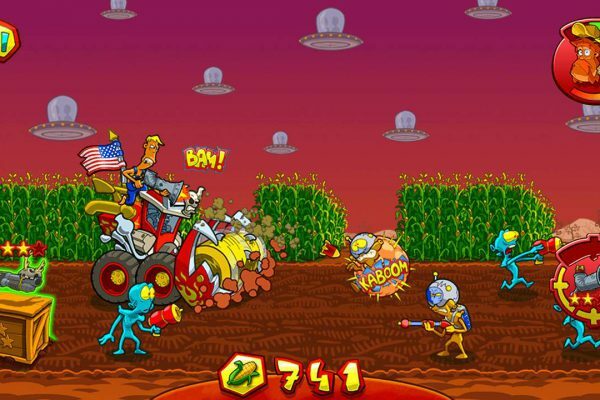 Hop on your corn chopper and mow down every single last of the little blue invaders! 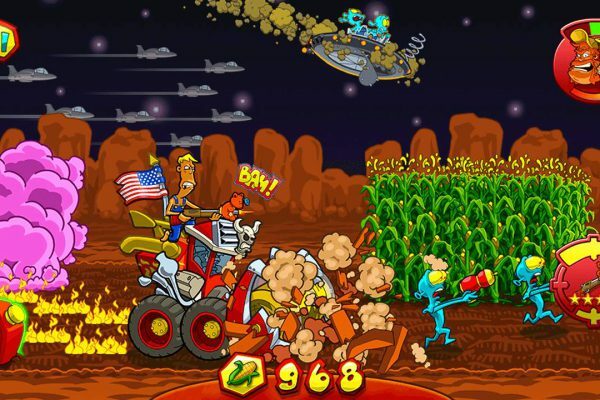 Neither armed spaceships nor dangerous obstacles will stop you from becoming the world’s greatest alien hunter-killer! 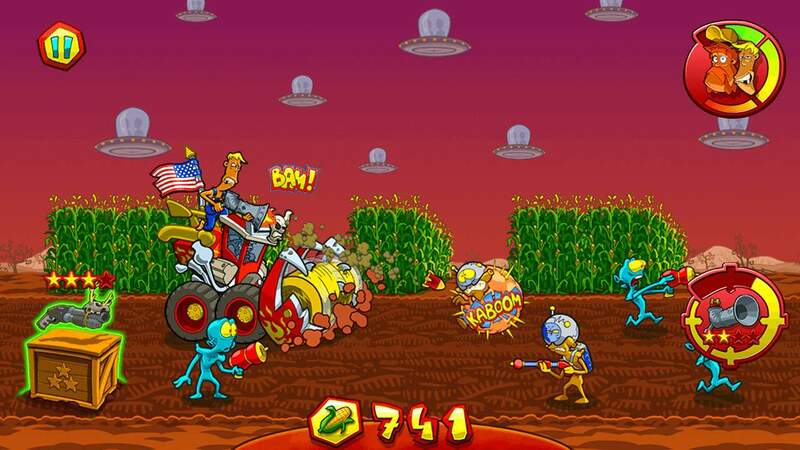 Dodge alien tractor beams and face the dreadful all-devouring martian trolls in your heroic defense of old Pops’ corn farm! 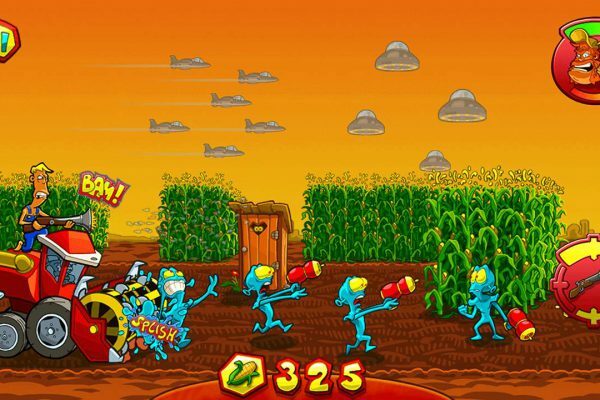 Help Pops, Joe and Otis to defeat the corn-grubbing monsters from outer space!